Twitter is one of the world’s leading social media platforms for communicating with people. It also serves as an effective tool for small businesses to grow their brand and customer awareness. In terms of marketing strategy, Twitter allows businesses to connect with a target audience, drive traffic to their website and establish an online presence. 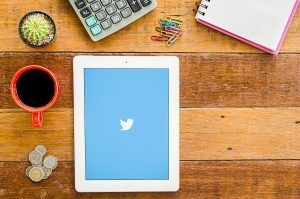 Use these tips to have a greater understanding of Twitter marketing to improve the success of your small business. Another valuable way to find relevant accounts or content is by using hashtags—words preceded by the pound symbol. Hashtags are an excellent way to join the conversation on a trending topic or even add context and voice to your own posts. This way, when you use a relevant hashtag in your tweet, other people searching for that same word or topic are able to find you and connect with you. While trending hashtags are provided to you on the left sidebar of your Twitter newsfeed, you can also use tools such as Hastagify and Hashtracking to find the most used hashtags related to different topics. Engaging with your followers is the most important aspect of Twitter marketing. The more you interact with your target audience and build an online presence, the more you stand out from competitors and drive traffic to your company. To make sure you are engaging with the right audience, tools such as Tweepi—a website that compiles inactive accounts you are following and allows you to automatically unfollow them—can help you remove unused or spam accounts. Managing and tracking your account through Twitter analytics can help you get a better insight on the success of your marketing efforts. Through detailed data, you can see your business’ opportunities, growth and engagement. Get started with Twitter marketing for your small business. Contact AdMix Social at 480.729.6205 or visit our website.